I was still uncertain and somewhat unsettled as Indigo Flight 6E-379 took off from Netaji Subhas Chandra Bose International Airport on the morning of April 30, 2015. I stared blankly out of the window, at the bright blue sky sprinkled with the fluffy cumulus, recalling the anxious faces of my wife and sons as they bade me goodbye. Their everyday life as well as their spirit had been molested by my acts of indiscriminate drinking. I laid my head on the headrest of my window seat. I had four hours to think about what lay ahead before I reached Trivandrum. 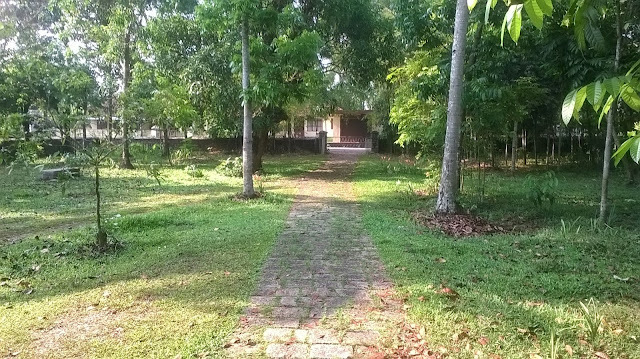 I was headed for the residence of Pravin Joseph Philip (Pravinda to me) for a three week stay, in search of recovery and repair – of both body and mind. I was referred to this healing sojourn by my cousin Sharmila, who is a friend of Pravinda. I had exchanged a few emails with Pravinda in the days prior to my departure from Kolkata. His words were realistic and encouraging, but I was still uneasy. After all, I had never met him. And I was not in the habit of staying with friends or relatives – close or otherwise, much less someone I didn’t know at all. My thoughts travelled to my cousin Sharmila who is based in London and would fly down to India every alternate year to visit her parents. We shared a cordial and affable relationship but it would be an exaggeration to say we were close friends. However, end 2013 saw her face an unimaginable tragedy, the death of her father (my maternal uncle) under shocking circumstances. And her ailing mother passing away within four months, in March 2014. The twin tragedies brought us closer as I did reach out a bit to help her organise. Although she had an inkling that something was amiss, that I was probably powerless over alcohol, her fears were only confirmed when things went out of hand and my wife confided in her. It was on a Monday 23rd of March 2015 that she dropped by my house to have a heart-to-heart with me and didn’t hesitate to call a spade a spade. She explained to me that I needed assistance and her friend Pravin Joseph Philip has agreed to help me come to terms with the reality that I had been denying or hiding from. I was lost in my thoughts when the overhead speaker crackled. We were about to land. A pleasant young man – Anish Mathew – partner of a modest software firm, where Pravinda was the Chairman, was there at Trivandrum Airport to take me to the village of Arattupuzha, 250 kms away. The three hour drive was not as tedious as I had expected. I was spellbound by the greenery, our silence broken only at times when Anish and I exchanged notes about family, work, business ideas and such. My watch showed that it was almost 2pm when we made our way through the wide open gate to reach the handsome comely bungalow, surrounded by a huge garden that was left to survive and grow in nature’s benevolence and not the sickle of the manicurist. Pravinda opened his door to us, the symphony of Beethoven permeating the otherwise silent ambience. Greetings were exchanged over mango juice and as Anish took his leave, I was showed into my room – the suite in the guest wing with a fabulous attached balcony – the only smoking zone in the house. It wasn’t an iceberg – in fact there was hardly any ice to be broken. Pravinda was affable and easygoing albeit the no nonsense type. The House Rules were easy to remember – there were hardly any. It was, in Pravinda’s words, a democratic household. By the end of Day two, I was completely at home. I had travelled a long distance in search of the philosopher’s stone that would cure my body and soul, and looked upon Pravinda as my mentor and guide. He had come forward and expressed his willingness to work with me. As I write this, he remains a mentor, but we also share a special friendship. 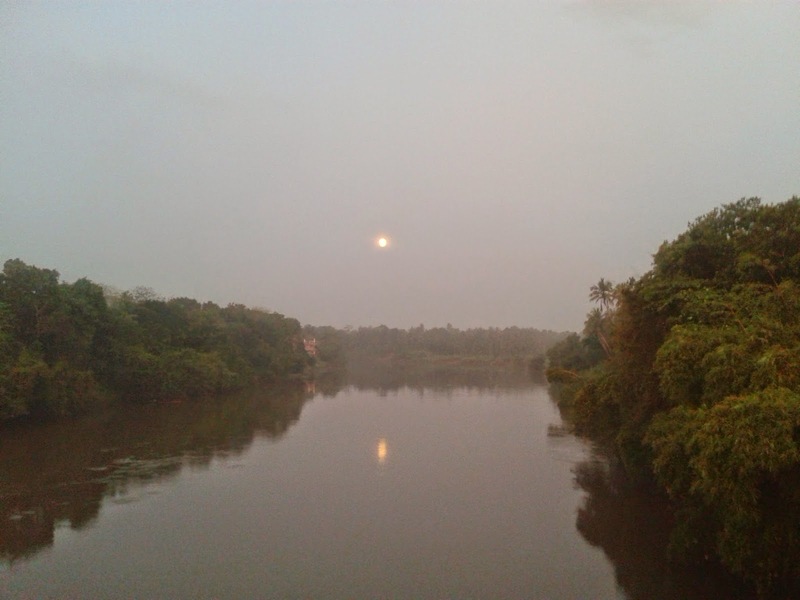 I recall the evening when we stood on a bridge over the river Pamba, looking out into the darkness, the only hint of a glimmer coming from distant lights and their reflection on the rippling water. We hardly spoke. But we seemed to understand each other’s silence. To me, the sight seemed to represent my life at that point of time – darkness and obscurity all around but there was light at a distance. When any addiction goes completely out of control, it is naïve not to acknowledge the devastation it causes along its path. Not only to the addict himself but also to those around him, especially his immediate family and friends. My first lesson was to acknowledge this. For most, it would inevitably, result in a feeling of guilt. One has to accept the same as a part of the natural consequence. Of the conscience awakening or perhaps being reborn. But at the same time it’s important not to let this feeling of guilt and shame spiral inward and create the vicious cycle most of us fall victim to – “I am feeling guilty because I have been drinking and causing hurt, I need a drink to forget that part, the insane past”. This is where a mentor steps in, like Pravinda did. We would start the day early, reading “The Proactive Twelve Steps For Mindful Recovery” by Serge Prengel or listening to “The Power of Intention” by Dr. Wayne W. Dyer, after our first cup of coffee. We would read and re-read, listen and listen again, till the essence filtered in. Discussions with Pravinda on these subjects benefitted me enormously as he helped me relate and identify the discipline and instructions of these teachings with my own life. I realised that my life, for quite some time, has been a disaster of sorts. One afternoon, after lunch, we remained at the dining table and started talking. For some reason, perhaps the knowledge that Pravinda was capable of understanding, made me open up like never before. I spoke about the suffering I caused to my family in detail. This was also the first time I realised the relief and reward of confession. Of admitting one’s mistakes and callousness. Not only to one’s own self, but talking about it. Pravinda understood and explained that this realisation was a big step towards recovery and correction. Rebirth perhaps. He also explained I should be ready for the fact that it might take a very long time to regain the confidence of those close to me. And with some, I might never ever regain it. And I have to live with it. The journey continued, a pilgrimage consisting of diverse and assorted activities. We began to start our day with badminton with friends and neighbours, followed by coffee, reading and meditation, often with the accompaniment of pensive music or ‘mantras’. The food in Pravinda’s house was fabulous. Though Pravinda himself termed it as “simple”, the accomplished cook always churned out something delicious. And we made our regular trips to town, or to a local eatery. As the days progressed, I could feel myself healing, both body and mind. He took me to visit his friends and relatives, sometimes for a meal, and I found myself feeling comfortable around people after ages, engaging in conversation. I admit that I was a bit apprehensive on the first such occasion, but to my comfort and delight, our hosts always made me feel at home. There were no strangers, not even on the day we played host to a group of eminent people who were invited by Pravinda to deliberate on a couple of subjects, the primary one being care for the elderly. One of the things that touched me most during my stay at Arattupuzha, was the genuine modesty and grace of the people, be it a world renowned doctor, a member of a royal family or the shopkeeper down the street, a reflection of their nature, their poise and nobility of character. The days seemed to have passed me by faster than I anticipated and soon it was time for me to re-pack for Kolkata. There was apprehension, from my end as well as Pravinda’s. I was returning to the spot, the corner which saw me at my worst, and it was up to me to live a life. Pravinda and I had become friends and he didn’t want to see his buddy tread the wrong path again. As for me, I wanted a life, not only for all those who hoped and prayed for me, not only for my mentor and friend Pravin Joseph Philip, but also for my own self. Our discussions, whether at the dining table, the balcony or during our walks or drives were not only uplifting but fascinating as well. It was not necessarily centred on addiction or recovery, but life as a whole, including prospects of my working as a researcher and contributor for some of Pravinda’s works. I grasped the sense of the words of the Twelve Steps – “While abstinence is the beginning, our only hope for recovery is a profound emotional and spiritual change”. My focus had shifted from “not drinking” to “changing my life” and I had to be glued to this premise. 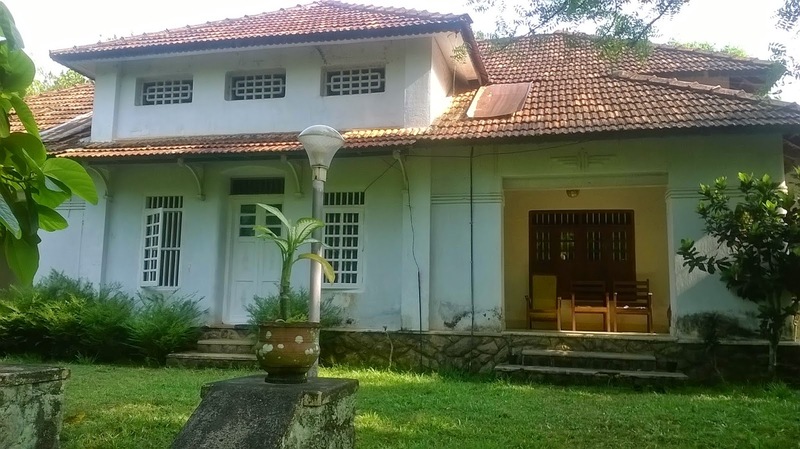 April 19 arrived with perhaps the single most painful moment of this odyssey, when Pravinda and I hugged each other outside the departure gate of the Cochin airport. Indigo Flight 6E-422 to Kolkata was waiting. As I pen this down, a month after my return to Kolkata, I remain grateful for this journey but every single day I remind myself that “Motivation is what gets you started, habit is what keeps you going”.